Home / Projects / Mikvah for Wellington! One of the most important Jewish rituals is Taharat Hamishpacha, the laws of family and ritual purity. This mitzvah helps us to rejuvenate and refresh ourselves from the every day struggles and challenges of life. But without your help, our small, yet mighty Jewish congregation in Wellington, New Zealand will be unable to provide the clean, safe, and inviting mikvah that every Jew who comes here deserves! Our current mikvah is over forty years old and in such severe disrepair it has become a health risk to our community. 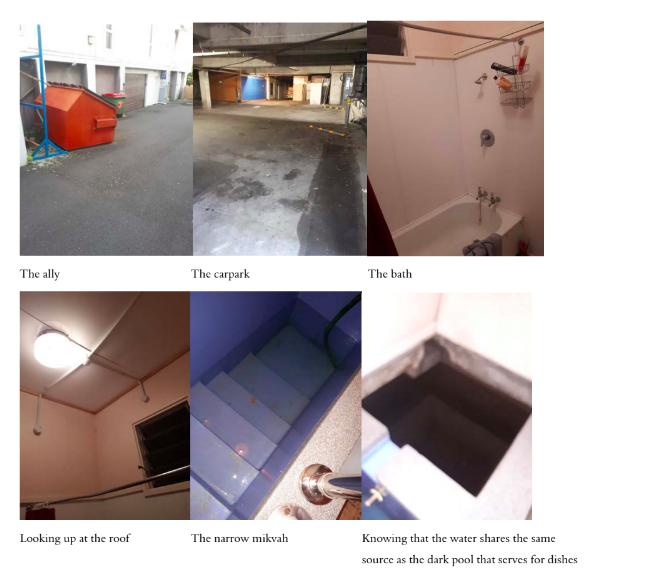 The mikvah is a barely functional and unsafe facility located inside a parking garage off of a dark alley. We are unable to keep the water heated, the stairs are crumbling, and there is no cleaning filtration system set in place. It is therefore no surprise that many people in our community have stopped coming altogether! We cannot stand by and watch as our community dwindles. This campaign has a matching grant of $18,000 from an anonymous donor. Help us get there! Here at Wellington Jewish Community Centre, we are determined to provide the Jewish spaces that our community needs. This begins with building and maintaining a new mikvah. It is critical for the spiritual needs of Jewish men and women, and the observance of the laws of family purity that have been part of the Jewish life since the time of the patriarchs and matriarchs. Some great rabbis have even held that the existence of a mikvah is so important that a Jewish community is required to construct a mikvah even before building a synagogue, and must go to the extreme of selling Torah scrolls or even a synagogue if necessary, to provide funding for its construction. The WJCC provides the only mikvah for most of New Zealand! People fly in from over 300 kilometers away to use our Mikvah. Our job is to be there for our community and help maintain everything about their Jewish lives from the cradle to the grave. The continuity of Jewish life in New Zealand is dependent on a working Mikvah. As it is, religious life is not easy for those in our country. But young Jewish families and Jewish life in general is counting on us to keep Jewish life alive in our community. Having a working Mikvah is the first step in the right direction. The money we raise in this campaign will provide a new mikvah facility. One that is a cleaner, more sustainable and provides the community with positive experience. The new mikvah will include separate entrances and privacy for women, wall-to-floor tiles, a safety rail, unlimited piping-hot water and wheelchair access. We will utilize rainwater catchment from the existing synagogue roof structure in order to conserve water. All this and more will help create an inviting mikvah to encourage the observance of important mitzvot. But your support of our project goes well beyond just the physical aspects of the mikvah. It goes well beyond simply providing our community with a clean, safe and desirable place to continue their practice of halacha. The mikvah will act as an ignition for strengthening our Jewish community. It will spark creation of an eruv, a kosher cafe, and finally a Jewish school. Young families are leaving our community. You will give them a reason to stay and grow our community and Jewish presence in New Zealand. A strong Jewish community will welcome those who don’t attend shul and are looking for Jewish connections. We will be able to expand membership, especially for people considering moving to Wellington from around the globe. The mikvah is a required step in the process of conversion. We need to give all people in NZ the opportunity to join our community if that is what their heart desires! The location of the Mikvah within the Wellington Jewish Community Centre has been carefully considered and the new location has been deemed suitable. 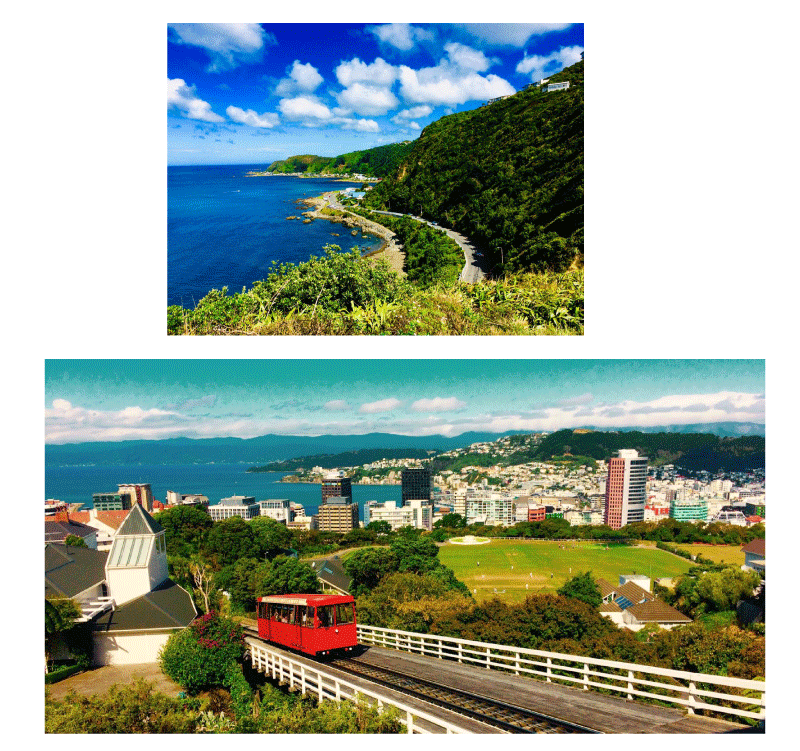 Wellington, New Zealand is the southernmost capital city in the world! 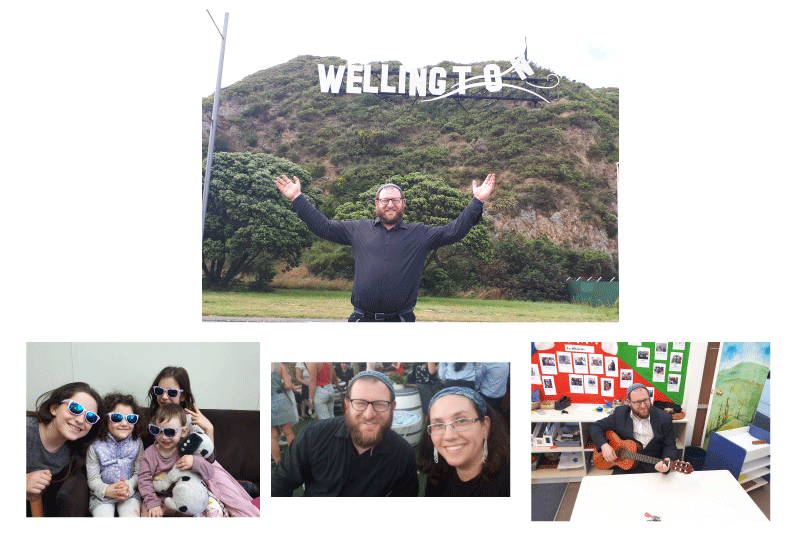 The Jewish Community in Wellington is a small and vibrant community, with an active board, consistent membership and a relatively active mikvah for its size. The mikvah reaches Jewish couples from all around Wellington, the Hutts, Masterton, and even as far as Nelson and Christchurch, as well as tourists from around the globe. Our community centre was built in the early 1970’s and has always had a functioning mikvah as we have always recognized the importance of this mitzvah. Five months ago, Rabbanit Rachel and Rabbi Tal became the leaders of the WJCC congregation. Rabbanit Rachel is a mother to all daughters! She is a doula and Lamaze childbirth educator and children’s book author. Rachel is a native of Colorado who made aliyah as a teenager while backpacking the world. As Amiel/Strauss graduates Ariel and Rachel have been involved in outreach in Canada at the village shul Aish Hatorah, as well as in Israel at livnot U libanot. Rabbi Tal learned in a Hesder Yeshivat Ha Golan and trained through Amiel/Strauss. Being a teacher of religious studies and youth Rabbi for many years prepared him for the position as Rabbi of the Wellington Jewish Community. Rabbi Tal is an avid sports fan and guitarist who has a masters degree in business and marketing. He is a friendly, outgoing, and musical Rabbi who has quickly formed strong relationships with his new community. Every community Rabbi and Rebbitzin seeks to promote Taharat Hamishpacha within their respective community, with potential converts and with its tourists and visitors. Building a new mikvah is a crucial first step in creating a sustainable Jewish infrastructure in Wellington. It will enhance the current mikvah experience of New Zealand Jews, and it is vital in order for the Rabbi and Rebbitzin to promote Family Purity in the WJCC community. We are now being backed by Keren Mikvaot Worldwide! This is very exciting news! "I have many fond memories of my time with the Wellington Jewish Community and wish all the members all the very best in raising the money needed for this mikvah." "We live in Israel and have a holy New Zealand-raised neighbor who shows us how special the New Zealand Jewish community is! Hatzlacha Rabba!" "Looking forward to visiting Wellington. Good luck with this project." "We love Rachel and Ariel!" "With love from Auckland and the Jewish Women's Learning groups in the North and East!" "What amazing project Ariel and Rachel! You guys are an inspiration!" "In appreciation of Ed Truitt"
"Wishing the Wellington community hatzlacha! Tizku l'mitzvos!" "Wishing you guys much success in this great project." "With love from Abe and Madi"
The Wellington Jewish Community Centre recently celebrated 175 years since the first Shabbat Service was held in February 1843. Since then, it has grown to become the backbone of Jewish life in the capital of New Zealand, enriching Jewish observance and social life with services ranging literally from cradle to grave, starting with circumcisions and naming ceremonies, a kindergarten and youth groups, family services and adult education, helping the elderly, and sponsorship of the Chevra Kadisha burial society. Even just a small contribution can help all of us “kiwis” and transplants to grow and develop this Jewish community in Wellington, New Zealand! Thank you for taking the time to make our community a stronger and more vibrant Jewish place! Your decision to support us on this journey will forever be ingrained in our hearts. Thank you, mate! In Maori, the word for Hebrew is Hīperu. The Hebrew language has been able to connect us from generation to generation. Today, we can celebrate our diverse backgrounds around the globe. 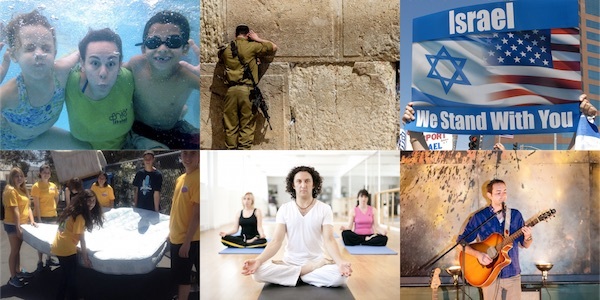 Help us continue this diversity of Jewish life! We are so grateful for your support. 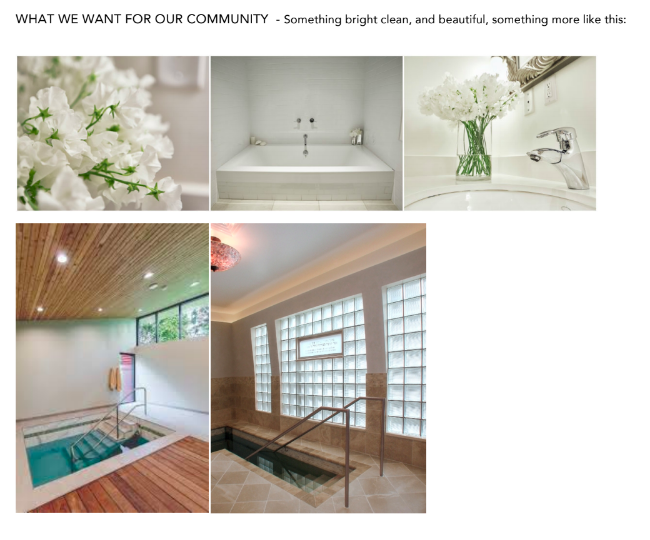 We promise to do good work for our community and build the most beautiful mikvah this community deserves! Our Jewish world is growing. Thanks to people like you, we can continue to grow in our part of the world. Your incredibly generous donation is a gift to us and our future generations. Thank you for joining our community, and being a part of our family. We cannot put into words how thankful we are for your generosity and display of love. We appreciate you from the bottom of our hearts! The Ancient and Emerging Torah of Drugs is Out of Print: Together, we can fix that!